Even two presidents who came after Lincoln and emancipation— Andrew Johnson and Ulysses Grant—had been slave owners. My first night in Angola was very difficult because my husband couldn't penetrate me. I am also a victim of Female Genital Mutilation and nothing sexual could happen. The panel discussion and awards ceremony is Saturday, June 2, 2018 from 11a to 1p at 1313 New York Ave. NW. The event is free. Be grateful because no matter how fun or stressful paying your dues can be, you are building new skill sets for yourself that will take you from job to job. 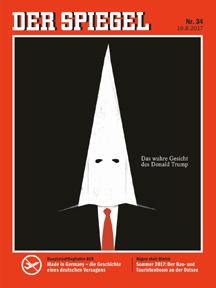 Not only is this a German perspective on the current US President and his administration, it is much tougher than Saturday Night Live and Stephen Colbert combined, well almost. It has also encouraged more companies to remind you of their privacy policies and how you can opt out their mailing lists. Interesting, diverse things to do including the "Inspiring Fathers, Celebrating Co-Parenting" Discussion and Awards. Peter Michael is the publisher of the Underground Railroad Free Press. Rather famously, John Adams, George Washington's successor as president, made it a point that, unlike Washington, he, Adams, was never an enslaver. In fact, from Adams until Lincoln 60 years later, the only other president who was not an enslaver was the second president's son, John Quincy Adams. Even two presidents who came after Lincoln and emancipation - Andrew Johnson and Ulysses Grant - had been slave owners. But John Adams was not the first president who was never an enslaver. That distinction goes to Elias Boudinot IV, the second president of the original United States government under the Articles of Confederation, the nation's first governing charter. Boudinot was a New Jersey delegate to the first government, the United States in Congress Assembled, when in 1782 the body elected him as the second President of the United States for a one-year term. The unexplained failure of United States history textbooks to adequately describe the original government, its presidents, and its critical role in establishing nationhood has left most Americans uninformed even of its existence. A nation is not a nation until it has a government and head of state, and that did not occur until November 4, 1781, the date prescribed in the Articles of Confederation for formation of the new government and therefore the nation. On that date, John Hanson of Maryland was elected the actual first president of the United States. 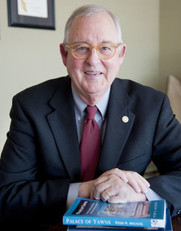 Hanson's immediate successor as president was New Jersey lawyer and early American philanthropist Boudinot who had a long distinguished record before, during and after his presidency but is almost entirely forgotten today. Jonsaba Jonsy Jaiteh is a survivor of a forced child marriage that ended her education in 10th grade and a survivor of female genital mutilation. 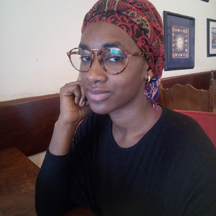 The Port Of Harlem Gambian Education Partnership seeks to raise $870 to help her regain her life as she reaches one of her life goals: to finish high school. 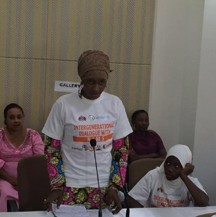 Jonsaba Jonsy Jaiteh testifies before the Gambian National Assembly during an intergenerational dialogue between law makers and victims of child marriage as part of the African Union's anti-child marriage campaign in June 2016. The Gambia also outlawed child marriages in June 2016. 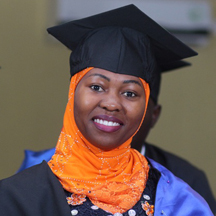 Publisher's Note: Ruqayah Sesay, a teacher at Kotu Secondary High School in The Gambia and a Mandela Fellow, a program started by the Obama Administration to find and train young African leaders, suggested we work with one of her students, Jonsaba Jonsy Jaiteh. We chose to meet Sesay on our last trip to The Gambia because we have worked with her school since 2014. In short, I kept asking Sesay, what can our readers and the Port Of Harlem Gambian Education Partnership do to help her with her projects. She generally helps her students help themselves. I am a lady of 23 years, but I will be starting my high school senior year this fall. I am a survivor of a forced child marriage which ended my education in my 10th year. My nightmare started six months after my mum's death. I was just 13-years-old and in the 8th grade. The nightmare started with a surprise call from a long lost auntie in Angola, 2,500 miles away from The Gambia, West Africa where I live. The auntie called and told me that my dad and grandmother had arranged a marriage for me to a business tycoon - - against my will. His name was Ebrima. He is 22 years my senior. My father was not financially strong enough to say no to my auntie and grandmother. Besides being financially weak, he thought he could not provide for my basic needs including paying for my schooling. However, it was not until I started 10th grade that I was informed that Ebrima would come and take me far away to Angola. I was frustrated with my elders' quest to wed me traditionally. So, I asked my school principal to talk my family out of the arrangement so I could finish the12th grade and make a marriage decision from there. My family didn't listen. So, the principal took me to a foster mother where I stayed for three nights. He then forwarded the case to The Gambia Department of Social Welfare and I was moved to a shelter for women and children for a week. While in protection, my family kept calling me on the phone, but I didn't answer. Later, they came to know my whereabouts and contacted the Social Welfare office. The department met with my family and my uncle signed an agreement that they were not going to force me into any marriage, allow me to finish my education, and choose whomever I wanted to marry. I was hopeful. When I returned to my childhood home, it was a Friday. I was made to sit in the middle of the living room. As I sat, one family member after another started raining insults on me. They said I had brought shame to the family and that my future plans would not succeed because they were my elders and it was their decision to shape my destiny and tie the marriage. At school on the following Monday, I learned that news had spread that I had been married traditionally. My peers were looking at me as if I was no longer in their class. I felt isolated. After a week in school, my family decided to take me to a nearby village in Senegal because they felt that I no longer belonged to them and had to go to my husband's family. From Senegal, they decided to break the promise they made with the Social Welfare office. The government of The Gambia tried to help me by calling security at the border and Interpol in Senegal, but it was too late. They succeeded in putting me on my very first flight. However, I was not excited. I was going to a life I did not want, in a place where I had never been. I was very nervous. I was very confused. I cried a lot that night. My first night in Angola was very difficult because my husband couldn't penetrate me. I am also a victim of Female Genital Mutilation and nothing sexual could happen. He had to leave me alone until the next day after the village women removed the seal. Then, he finally had his way. I was frustrated with my elders' quest to wed me traditionally. So, I asked my school principal to talk my family out of the arrangement so I could finish the12th grade and make a marriage decision from there. My family didn't listen. In The Gambia, when a girl is given for marriage and she is found to be a virgin there is a price the man is supposed to pay to show his appreciation. My husband did not to pay this price, though he told me he was going to give me three-fourths of his business as the price. The payment never happened. Even my virginity was of no value to him! After three weeks, we received a call from The Gambia that my uncle had been arrested so my husband had to return me to Gambia or my father would also be arrested. So Ebrima sent me back to Gambia. The day I got to The Gambia I felt I had just been released from a cage and ready to continue my education. The lady who was working on my case realized some changes in me so she took me to a clinic for a checkup and we found that I was pregnant. I wanted to terminate the pregnancy, but it was too late. The Social Welfare office planned to take my family to court, but the court dismissed the case, because my family used black magic to make the case a foolish one. I soon started experiencing the symptoms of pregnancy like vomiting and getting sick. None of my family members helped me during this period, which made me miss my mum a lot. Fed up with my presence, they took me to my husband's village in a very remote part of Senegal. I spent about three months there. And, it was hell for me. Now seven months pregnant, they forced me back to Angola. Two months after my arrival, I painfully delivered a baby boy with some complications and spent two months in the hospital. At 16-years-old, I was a child who had given birth and I didn't know how to hold, feed, or bath a baby. I felt that my world had been torn apart. Whenever I heard about my friends or saw them on Facebook continuing their education, I felt very sad and lost all hope seeing them continue without me. "While the circumstances of the relationships with their mothers were not always smooth as they were growing up, co-parenting has allowed me to put my daughters' needs first, and that is important to me," A. Scott Bolden told Port Of Harlem. A. Scott Bolden, a second-generation lawyer, who has represented Clinton presidential appointees and appeared on several news shows including ABC's 20/20, has a unique story to tell about his journey to understanding the importance of fatherhood. As a young man, he got a young woman pregnant. However, he did not know he was responsible for bringing a baby into this world until she was in her late teens. When he learned that the child was his, Bolden was well into his career and the father of two younger daughters. Instead of shirking his responsibilities, Bolden began co-parenting with his older daughter's mother. "While the circumstances of the relationships with their mothers were not always smooth as they were growing up, co-parenting has allowed me to put my daughters' needs first, and that is important to me,” Bolden told Port Of Harlem. (The magazine is a co-sponsor of the event.) 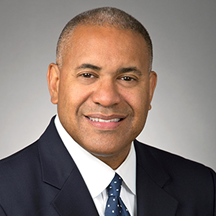 Bolden, a lawyer who has represented many building developers, will share more of his personal testimony at the "Inspiring Fathers, Celebrating Co-Parenting” awards and panel discussion program. DC Councilman Kenyan McDuffie, who has been a leader in juvenile justice reform in DC and the reunification of formerly incarcerated fathers with their children, HyeSook Chung, DC deputy mayor for health and human services and former director of DC Action for Children, and Dr. James Ballard, a mental health psychologist, will join Bolden in the public discussion. Frank Love, national relationship expert and creator of the Co-Parenting Awards program, will moderate the panel while Wayne Young, publisher of Port of Harlem Magazine, will serve as master of ceremonies. A committee of civic leaders and professionals chose the recipients of the Co-Parenting Awards. The awards are being made to encourage co-parenting which is a viable solution that allows parents to work together, in harmony, to advance the interest of the child and to forge, in some cases, a new definition of family. Everyone, adults, children, and the community, benefits from such an arrangement. Esther Productions, noted mostly for its Fatherless Daughter Reconciliation programs, is the events organizer. "The panel and program award further our mission of working toward making people feel whole and to reduce the trauma in children face when parents divorce or never marry,” says Jonetta Rose Barras of Esther Productions. The panel discussion and awards ceremony is Saturday, June 2, 2018 from 11a to 1p at 1313 New York Ave., NW. The event is free. So you may ask, after all of this, "What if I don't get it? How do I handle it?" New college grads will have an advantage this year in the job market. Employers plan to hire 4 percent more new graduates for their U.S. operations from the Class of 2018 than they did from the Class of 2017. So, congratulations to the Class of 2018, not only are you finishing school, but there will be more space for you in the job market. Knowing this gives you an advantage because they want you! Getting the first job is a big accomplishment as it gives financial sustenance and the opportunity to make your mark in the working world. A lot of time and effort is put into getting the job, and the interview advice can be rampant. Advice runs the gamut of how to format your resume, to what suit to wear. This is all very helpful, but what happens when you actually get the job? What's next? There is no road map for this. The first job is typically full of unchartered territory and can throw curve balls full of unexpected situations. 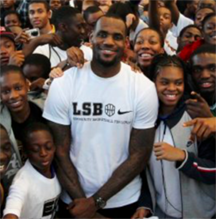 These situations aren't something your college courses can prepare you for, but real life will. 1. Pick Your Clique. When starting a first job, realize that you are walking into an already established work culture. While you may be in training and learning about the tasks of your job, you will also be learning about the new personalities around you and inner office dynamics. This can be a bit of a shock, especially as the office gossip unfolds and the culture reveals itself. I mean, you didn't encounter this stuff during the interview, so why are you just seeing it now? Worry not, every workplace has it's own dynamic. As you get to know your new 8-5 home, you will find co-workers who are positive and can be asset to you, and you will find those who are negative and bring you down. Don't get involved with the latter. Don't get sucked into those who love misery or talk about what the new sales director had on that day. Surround yourself with those who lead by example and bring positivity and support to your new world. And in time, pay it forward by doing the same for other incoming employees. 2. Engage Yourself Quickly. Even though you may have already gotten the job, you can quickly create name for yourself by proactively setting up meetings with different people in the organization. Schedule some time with five different employees and ask them about their history, why they joined the company, and some of their goals. This shows that you are trying to integrate yourself and that you have a genuine interest in them and how they contribute to the bigger picture. Plus, these new relationships can be your foundation, and these people could be the same ones to help you in a new project or even just be a resource while you grow in your new role. 3. Don't be afraid to call out bad behavior. This may feel a little intimidating at first, especially being a new employee, but in our #metoo world, we have to be open to calling out bad behavior. If you encounter something that makes you uncomfortable, don't be afraid to report it. An example I'm compelled to share the story of a 23-year-old woman who took on a role as marketing manager for a large food corporation. She was asked to take some top customers to a hockey game to get to know them better and let them know they were appreciated. Upon arriving in the arena, they let her know their plan was to get wasted and that they expected her to be the beer runner. Unsure if this was appropriate, she ran their beer. Twice. One of the male customers became rather handsy with her after the alcohol hit his system. She didn't have to think about this twice. She just got up and left. She called her boss on the way home to let him know what happened and the discomfort she felt. He commended her for leaving the situation and reporting it. I do too. 4. What if you don't get the job? Like everyone says, finding a job is a job. We put a lot of energy, time and emotion into finding the right work place for us. We immerse and invest ourselves into something that hasn't happened in blind faith that we could be chosen. We are hopeful, excited and become emotionally involved. So you may ask, after all of this, "What if I don't get it? How do I handle it?" If you don't get it, don't beat yourself up. In the interview process, you most likely learned a lot and made of a lot of new connections - which in itself is valuable. You never know what can happen in the future, and your paths could cross again. 5. Work the totem pole. We all strive for success and we especially want it immediately! Myself included. However, know that it will take a good 10-12 months in your new job to find your groove and feel confident in what you are doing. You will have big wins and major mistakes along the way, but know it is part of the process called, "paying your dues." We all go through it. Be grateful because no matter how fun or stressful paying your dues can be, you are building new skill sets for yourself that will take you from job to job. In time, working your way up the totem pole will happen and promotions and new roles will appear. Be eager, be patient and enjoy the climb. Your first job, no matter how long you are there, will always be memorable. In the coming months you will be creating the foundation of your career and setting yourself on the path for success. Der Spiegel, based in Germany, is one of Europe's largest publications of its kind, with a weekly circulation of 840,000. Bolton and Trump share a predilection for destruction. And Trump is happiest when he is destroying policies constructed by his predecessor. Obama didn't have the (Iranian Nuclear) deal ratified by the U.S. Senate because he lacked the necessary two-thirds majority. And Republicans warned Iran at the time that an unratified deal was merely an agreement between governments and that the next president could easily render it null and void. "Iran's missile program is part of an arms race in the Middle East that the United States helped start" once the nuclear deal was signed, says Vali Nasr, an Iran expert with the Brookings Institution. "The issue that everybody forgets is that, when the nuclear deal was signed, the United States sold over $100 billion worth of new weapons to Saudi Arabia, United Arab Emirates, Bahrain, another $40 billion to Israel. The Iranians gave up their most important strategic asset, and instead, the U.S. actually strengthened the conventional military capability of its neighbors." Ultimately, the question becomes whether Europe can see this crisis as a wake-up call, as the start of a new common foreign policy, and whether they will continue to endure Trump's humiliations or position itself as a diplomatic counterforce. To update your email preferences click the "Update Profile/Email Address" below. General Data Protection Regulation (GDPR) goes into effect on May 25, 2018. It was passed by the European Union to create a harmonized data privacy law across all the European Union member states. Generally, the European Union law takes Internet regulations a bit further pass those enacted in the United States in 2003 (CAN-SPAM) and in Canada (CASL) in 2014. The law does affect Americans doing business with Europeans and will probably encourage American consumers to demand American lawmakers to pass similar regulations. 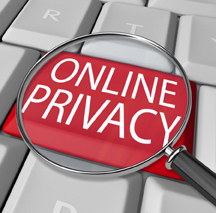 It has also encouraged more companies - since the Internet knows no boundaries - to remind you of their privacy policies and how you can opt out their mailing lists. Right of portability: Individuals have the right to receive their personal data in a structured, commonly used, and machine-readable format. Also Note: Port Of Harlem and the Port Of Harlem Gambian Education Partnership does not sale or borrow its list of subscribers to any other organization. To update your email preferences click the "Update Profile/Email Address” below. Don't forget to save your Profile when you are finished. Should you choose not to alter your current preferences we will assume you are happy to continue receiving the updates you are registered for and being part of our distribution list. You can unsubscribe at any time by clicking the link that will always appear at the bottom of our emails. 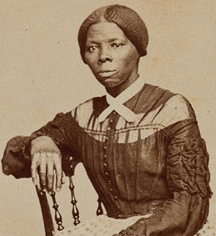 The annual Harriet Tubman Underground Railroad Conference is set for June 1-2, 2018 in Cambridge, Maryland — just a few miles from the lands where Harriet Tubman lived and toiled, as well as the site of the Harriet Tubman Underground Railroad Visitor Center. 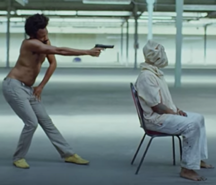 Donald Glover and "This Is America"